Gladiator – Did You See That One? This 2000 film was directed by Ridley Scott. Scott has had an incredible film as a director with titles like Blade Runner and Black Hawk Down to his credit. 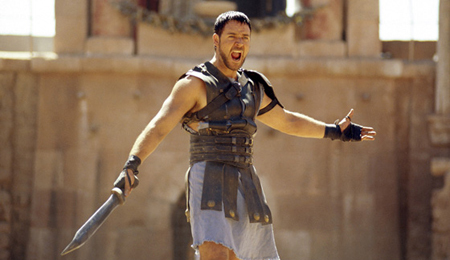 Gladiator won Best Picture at the Academy Awards in 2001. This was one of five wins that also included Best Actor (Crowe), Best Sound, Best Visual Effects, and Best Costume Design. These wins came in addition to seven other nominations.The film has a great cast including Russell Crowe, Joaquin Phoenix, Richard Harris, Connie Nielsen, and Djimon Hounsou. 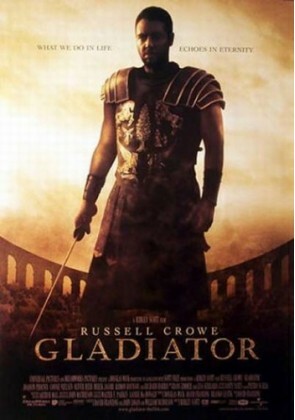 Russell Crowe has had a very successful film career. This includes two other Oscar nods for his work in The Insider and A Beautiful Mind. He’s also had memorable roles in movies like L.A. Confidential and Cinderella Man. Opposite Crowe is the twice Oscar nominated Joaquin Phoenix. He’s found success with films like Walk the Line and Signs. He’s also been in a couple of my favorite movies including Quills and We Own the Night. This movie earned him an Oscar nomination for Best Supporting Actor. Also featured is Richard Harris, an actor with a long resume in film making. From A Man Called Horse to Harry Potter he did it all. The late actor had great roles in movies like Unforgiven and This Sporting Life. Sadly, he passed away in 2002 after a career that spanned five decades. Connie Nielsen and Djimon Hounsou round out some of the bigger names in the cast. Nielsen has had a number of television roles as well as parts in Rushmore and The Devil’s Advocate. 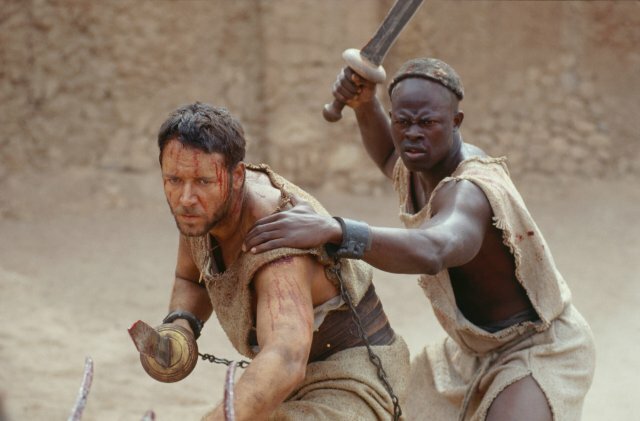 For Hounsou, Gladiator was a major break in his career. Following this movie, Hounsou would receive two Oscar nominations for his performances in Blood Diamond and In America. 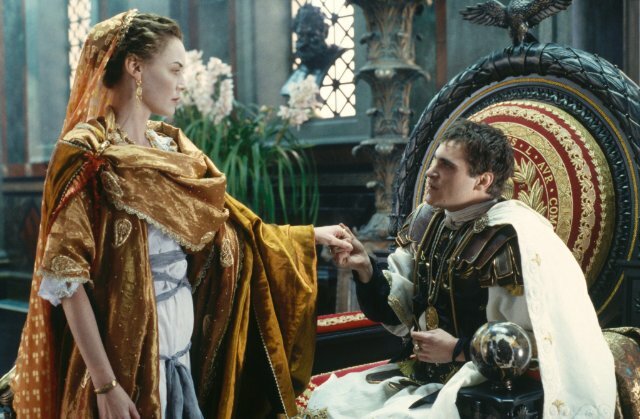 As Rome continues to build an empire, a young General is betrayed when the Emperor (Harris) dies suspiciously and his son Commodus (Phoenix) takes his place. After fleeing for home, Maximus (Crowe) finds his wife and son dead. Soon he’s enslaved by Proximo (Oliver Reed) who puts him in the ring as a gladiator. 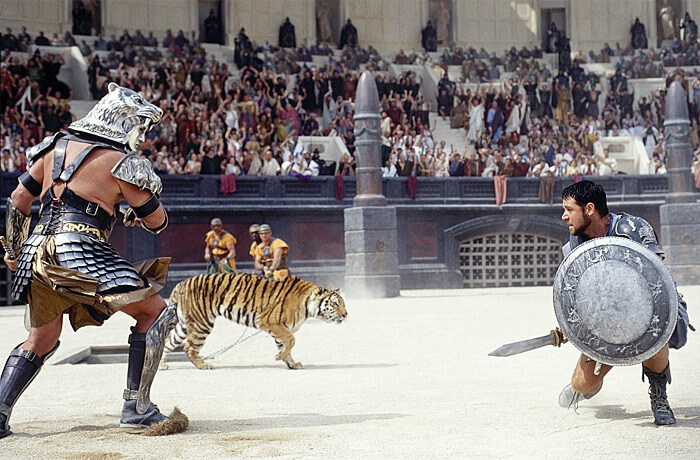 With his hatred for the new Emperor Commodus burning inside him, Maximus takes on every challenger. His hope is to meet Commodus again and avenge all he has lost. This is a wonderful movie. I won’t take the time to argue over historical accuracy since I’m not sure that it matters. In the end, this is a movie that is successful in many ways. First off is the soundtrack. I’m not sure how Hans Zimmer lost this one despite the wonderful work of Tan Dun with Crouching Tiger, Hidden Dragon. The score moves the film beautifully, making each scene feel full of emotion and power. The movie is also visually stunning, the action scenes are choreographed nicely, adding to the intense moments of violence throughout the film. The sets are also designed beautifully. Each of the different settings of the story feels unique and done perfectly. The camera work takes advantage of all of this hard work, and the movie is visually great. The acting in this film seals the deal for any Best Picture winner. The sad thing about 2001 is that Phoenix lost to Benicio Del Toro for a weaker role in the movie Traffic. Joaquin Phoenix started off strong in this movie and by the end he had put together his best work. Crowe was definitely deserving of his statue for the performance he gave in this movie. This was a big win since it came against some great actors including Tom Hanks and Geoffrey Rush. As a whole, the acting in this movie was wonderful. Connie Nielsen had to be great since so much of her work in this movie was opposite Phoenix. The rest of the cast also succeeded in making this movie a winner. If I have any criticism for this movie, it’s the lack of information that you’re given on how Maximus started out. This might explain the constant rumors of a prequel that existed for some time after this was released. These rumors later turned to a sequel, all of which never found any real footing with the studios. This movie isn’t for the kids. The violence is graphic and intense throughout the whole movie. If you’re a fan of war movies like Kingdom of Heaven or even modern warfare like Black Hawk Down this might be one for you. I give this movie 4.7 out of 5 stars. Gotta admit – I’ve tried a couple times to really like the film, but it fills me with “meh”. Interesting, I really love this one. One of the few movies I can watch any time. Good review. Totally epic and very, very awesome when it came to staging its action scenes. I do think that Crowe’s performance here was a little too overrated and that Phoenix was so much better and deserved that Oscar more than Del Toro. Than again, two different types of roles so it’s really hard to judge. 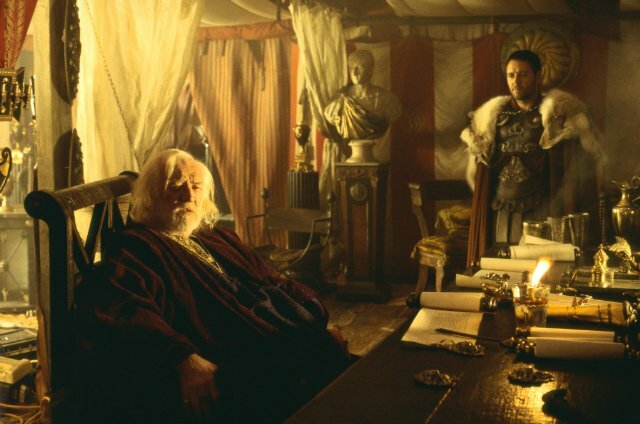 Till this day, I can always watch Gladiator with a look of admonishment. A solid action film plus a compelling story that pretty much set the bar for the whole swords and sandals genre of film. While not my favorite Crowe film, he still had a commanding presence. Pingback: Basic | Did You See That One? Pingback: Les Misérables | Did You See That One? Pingback: The Master | Did You See That One? Pingback: Man of Steel | Did You See That One? Pingback: Amistad | Did You See That One? Pingback: Coming Soon: Fall and Winter of 2013 – Part I | Did You See That One? Pingback: Return to Paradise | Did You See That One? Pingback: The Quick and the Dead | Did You See That One? Pingback: Life is Beautiful | Did You See That One? Pingback: First Knight | Did You See That One? Pingback: 3 Days to Kill | Did You See That One? Pingback: Interstellar | Did You See That One? Pingback: The Immigrant | Did You See That One? Pingback: The Insider | Did You See That One? Pingback: Spectre | Did You See That One?